Are you one of those many who depends on Axis Bank for their banking needs? If yes is your call, then let me tell you that you have selected right bank for all of your banking needs. Axis Bank is known to offer numerous facilities. Out of all, Internet Banking service is nothing less than a boon. You can send money to any other bank account from your own while sitting at home. Comfort at its best, right? If you want to know how to Transfer money from Axis to Other Bank Accounts, then just keep reading this article ahead. 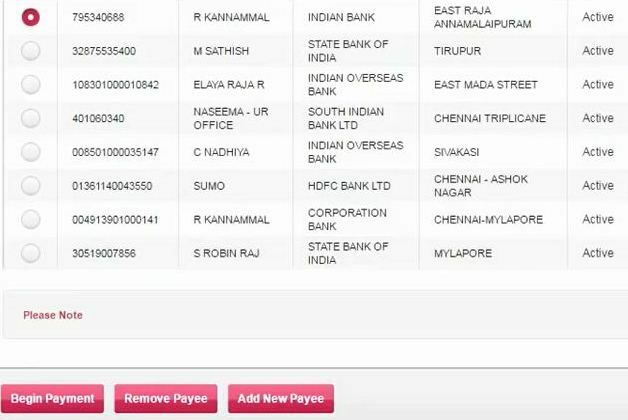 You can use this method to send money from axis bank to State bank of India, Icici bank, Bank of Baroda, Punjab national bank, Canara Bank, Hdfc Bank, Bank of India, Axis Bank and other Indian Banks. Step 1: Obviously, the very first step is to log in to your internet banking account. For this, head over to the www.axisbank.com. 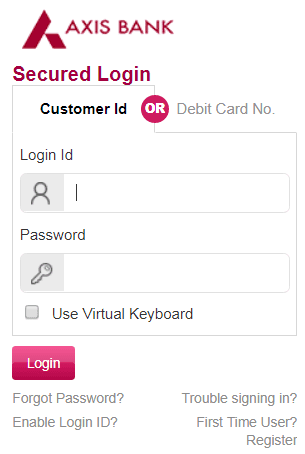 There on the Left-Hand side, look for the option to log in to Internet Banking. Seems tough? Don't panic! You can head over to the Internet Banking login page directly. Enter your customer id and Password so as to login into your Internet Banking account. Step 2: When you are in your Internet Banking account page, look for the 'accounts' tab and scroll your mouse to 'Transfer Funds'. Click on it. Note: In order to transfer money to a new account, you must add that as beneficiary. To do so, click on the 'ADD New Payee' button. Step 3: As we are transferring fund from the axis to other bank accounts, click the "Other Bank Accounts" option. 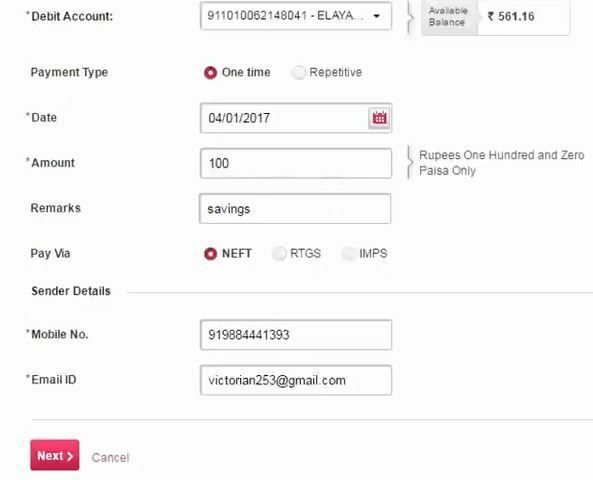 Step 4: Now select the beneficiary account whom you are transferring money and click the 'Begin Payment' option. Step 5: You will be now taken to 'Enter Payment Details' page. 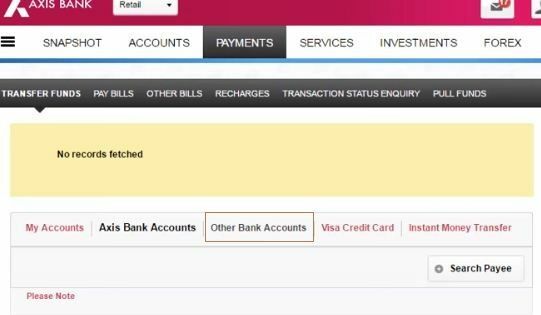 Here, select the account from where you want to send the money, which will be, of course, your Axis bank account. Then select the account where you want to transfer the fund. Enter other important details like Amount that you want to transfer, payment remarks, etc. Click on 'Next' button. 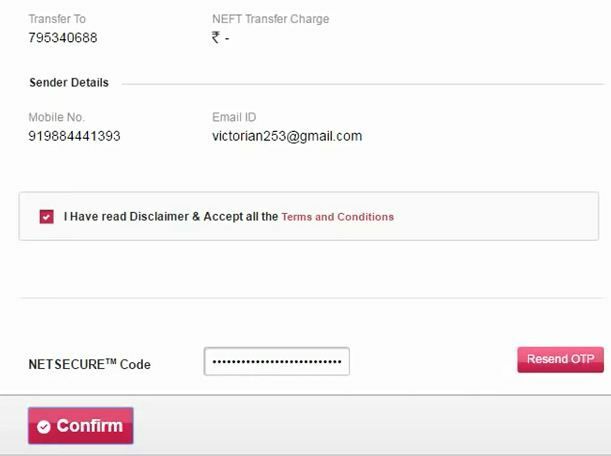 Step 6: You need to enter "NETSECURE Code" sent to your registered mobile number, so as to authenticate the transaction. After doing the above steps, the fund transfer will get initiated. You will be taken to 'Confirmation' page. Make sure to save the receipt for any future inquiry. It's better if you take its printout. That's all. 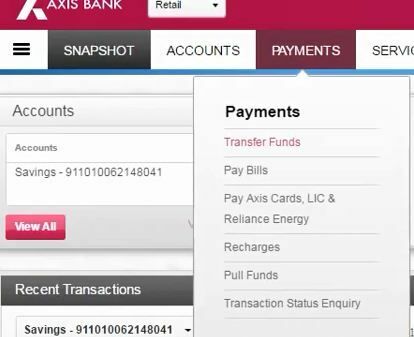 This is how you can send money from Axis Bank to Other Bank Accounts online. Simple, isn't it? If you need any further help in this aspect, then please leave your queries in the below comment box. We'll solve them asap.